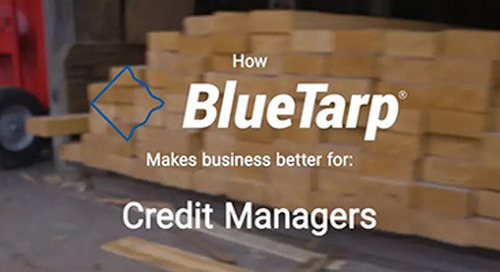 BlueTarp is a B2B credit management company that funds and protects your business. Improve your cash flow – Get paid upfront, at the frequency of your choice, so you can invest with confidence and stop being the bank for your customers Reduce your risk – We extend the credit and take the risk of non-payment. Sleep well knowing you’ve protected the business you’ve built. Grow your sales – Win new customers with terms up to 90 days, credit lines up to $1M, a rewards program and convenient online tools.